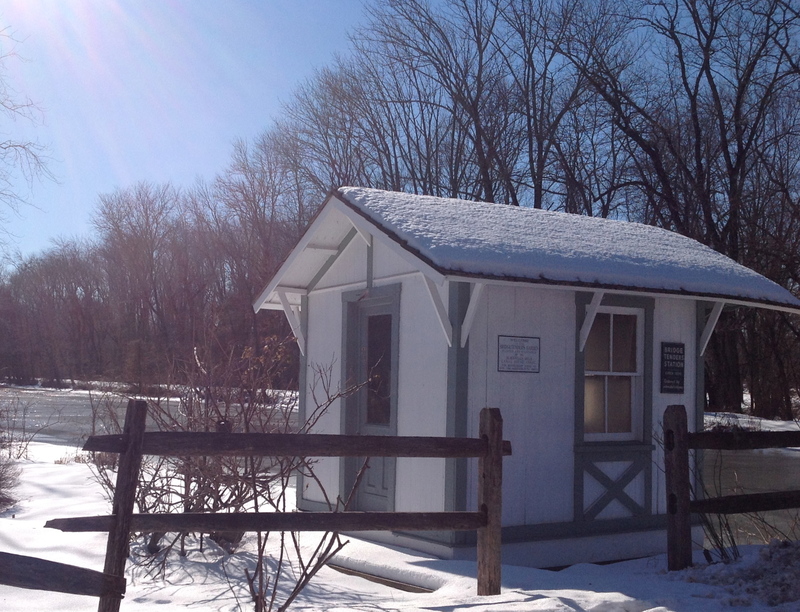 Bridgetender’s Station, Blackwells Mills, Frankin Township. (click to expand). Last week NJ.com published a list of ‘most affordable’ places to live in New Jersey. The list included 10 towns that had the most affordable property, taking into account mortgage payments and property taxes as a proportion of household income. Only one town within an hour of Princeton made the list, and that town is…Franklin Park, in Somerset County. Franklin Park is part of Franklin Township, a large municipality that borders Princeton to the north-east. Much of the area north of Route 27 between Princeton and New Brunswick is Franklin Township. Franklin Township has a mixture of suburban homes, strip malls and farmland. There are a number of interesting historic and natural sites, including Blackwells Mills, and the Rockingham Historic Site, where General Washington lived for about a year at the end of the War of Independence. Franklin Park itself is the smaller area around the Six Mile Run Reformed Church on Route 27. As a place, it is very diverse, with a population that is about one-third white, one-third African-American and one-third Asian. With a Walkscore of ’59’, Franklin Park rates as ‘somewhat walkable’, but busy and sidewalk-less Route 27 makes a car pretty much essential. For people seeking an affordable place to live near Princeton, Franklin Park and the broader Franklin Township are an attractive option. The downside is that growth in and around Franklin Park puts pressure on roads and natural resources. The population of Franklin Township grew by 20% between 1990 and 200o, and then by 20% again between 2000 and 2010. Do you agree that Franklin Park is an affordable or attractive place to live? Let us know in the comments section below. This entry was posted in Affordability, Local, Sustainability, Traffic and tagged affordability, Affordable housing, New Jersey, Walkability. Bookmark the permalink. Franklin Park is an affordable place to live not only near Princeton but also about 45-50 minutes to the city and about an hour to Philly. There is so much that Franklin Township has to offer from parks, history, location, etc! While yes the population has been consistently growing there is also a ton of preserved space in franklin township and farmland which is so nice to see when you’re living in the most densely populated state! Taxes as well as the cost of homes have been consistently going up as it seems this area is on people’s radar so if you are looking to be in central jersey but still have the peace and quiet of a nice suburban town this is definitely the place to be! Love it here!